Total Immersion (TI) may not be at the center of the Augmented Reality (AR) browsers frenzy these days – but when it comes to delivering AR on a large scale – it’s still the 800 pound gorilla. 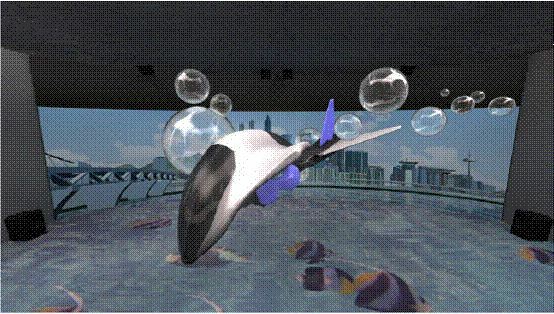 Nicolas Bapst, responsible for Product Marketing for Amusement Parks at TI – recently shared with me their latest achievements: a totally new kind of interactive 3D live show and an AR goggles experience The Networked City developed for TomorrowCity in South Korea . …a very innovative and interactive screen movie production…This show introduces the U-city in a spectacular method and the audience can participate directly in the story performance. With the new offering from Total Immersion, spectators share the stage with virtual live performers, playing a guessing game around what’s real and what’s not. 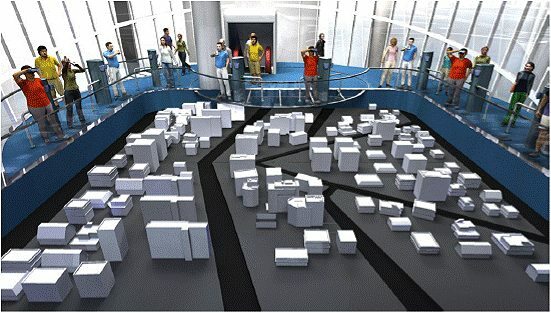 To the naked eye, the exhibit looks like a bare bones model of a city. 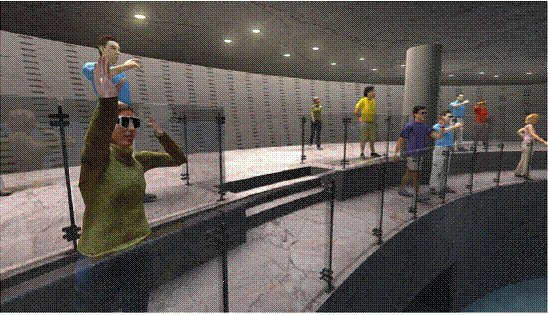 But when visitors put on the special AR goggles a whole new world unfolds – as graphics overlaid on the city model. How does this new world looks like? Can’t say…no video of the exhibit was released so far.